Established in 2002 we supply wholesale gold layered jewelry in USA. We have a large selection of Gold and Silver layered bangles, bracelets, hoops & earrings, chains and bracelets. As we are direct from manufacturer supplier, we are able to design and manufacture new styles periodically and bring them straight to you, which keeps the cost low and pass on the savings to you! Visit our Booth at an Upcoming Trade Show! 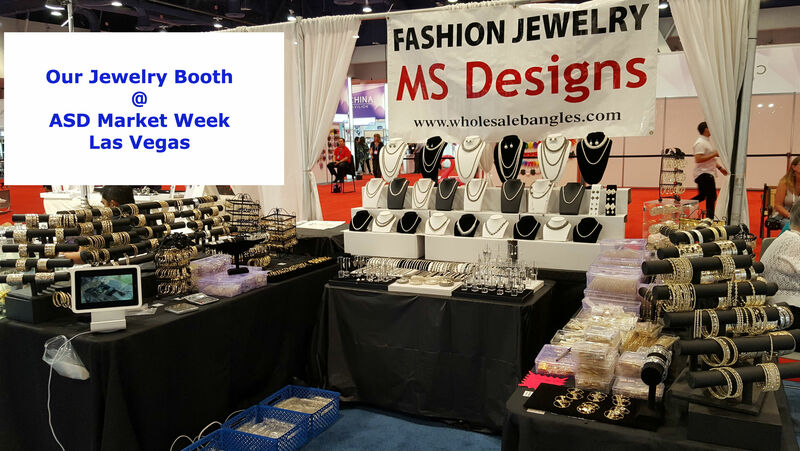 We were recently in Las Vegas for the ASD Market Week wholesale jewelry show! Please bookmark our website and check often or signup for our newsletter today (see bottom of the page on the left hand side) for winning free tickets to upcoming shows you can come visit us! 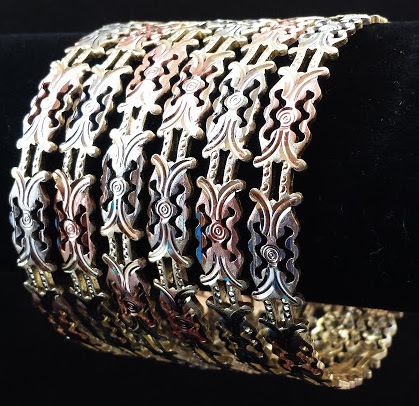 Gold layered jewelry is also commonly referred to as rolled gold or gold filled jewelry and is known in the Latino community as Oro Laminado. Our unique manufacturing process involves several layers of micron plating on base metal with 18K layers of gold and a top protective layer of alloy to increase the durability and brightness to our jewelry. This makes us stand apart from our competition. Just $15 for a set of 6 bracelets! * Wholesale orders only. Must provide evidence of price for comparable product. 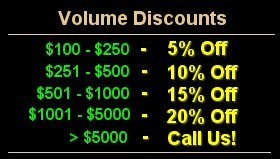 We offer volume discounts on all of our oro laminado jewelry based on your order total. Discount is automatically applied to your order during checkout. Reseller pricing for other items too! To get these exclusive reseller pricing for volume/bulk orders, give us a call today at (213) 341-9698 or (513) 827-7591 and ask for KB!